Spanish public broadcaster RTVE and commercial broadcasters Mediaset España and Atresmedia have confirmed that they have teamed up to launch a new joint interactive platform based on HbbTV, with plans for a new OTT TV service to follow. 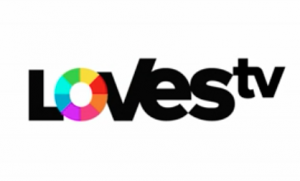 The platform, branded LOVEStv, which will be open to other digital-terrestrial broadcasters in the country, promises to “improve the experience of consuming television, allowing interactivity, thanks to HbbTV technology”. The trio said they were working together to launch the platform that will group the audiovisual content of all three with the objective of improving the diversity and quality of the free-to-air TV offering and the user experience for those accessing HbbTV services in the country. A second phase of the project will see the launch of a new OTT TV service that will distribute additional content. LOVEStv will launch on June 14 on a trial basis. The service will initially offer catch-up TV content from the previous week, along with startover functionality, and improved programming guide and content recommendations. The joint announcement by the three broadcasters follows press reports in March that they were planning to launch a joint OTT TV service that could see them compete with the likes of Netflix, Movistar+, HBO and Sky in the Spanish market. The Spanish market has seen a spate of OTT TV launches in recent years, with Netflix, HBO and Sky competing in the market along with a number of smaller players. Last year, Chinese technology giant Huawei was reported to be planning a service. There has been an upsurge of interest among European broadcasters in forming partnerships to develop platforms that would allow them better to compete with new internet-based rivals such as Netflix. France Télévisions has formed a programming alliance with fellow pubcasters Rai and ZDF to develop series while also seeking partners for a French OTT TV offering. Plans for an SVOD service have however stalled, with speculation that French broadcasters could develop a free-to-air-focused platform on the model of Hulu first. At the recent DTG Summit in London, UK media regulator Ofcom’s group director and board member Steve Unger predicted the creation of a joint platform by UK broadcasters amid reports that BBC, ITV, Channel 4 and NBC Universal, owner of Channel 5, had been in talks about the possibility of creating a joint streaming offering.